The evening began with a striking set by known Seattle prog band Moraine (interview here). Originally founded in 2006 by guitarist Dennis Rea and cellist/guitarist Ruth Davidson, this band has grown musically over the years as their personnel has changed. Producing the albums Manifest Density, Metamorphic Rock and Groundswell for Leonardo Pavkovic’s MoonJune Records label (interview here), their current lineup features Rea, Alicia DeJoie playing violin, Jim DeJoie (husband to Alicia) playing baritone saxophone and flute, Kevin Millard playing bass, and Brian Oppel playing drums. 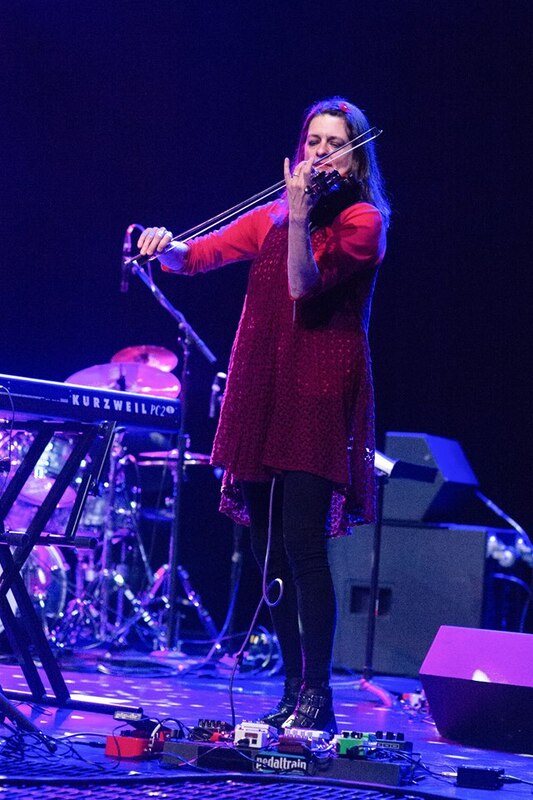 Their set began with the complex rhythm and melodic violin of the tune “Bazuray.” Drums and bass solid, it was followed by the flute and violin melodies of “Jog,” written by Alain Blesing. 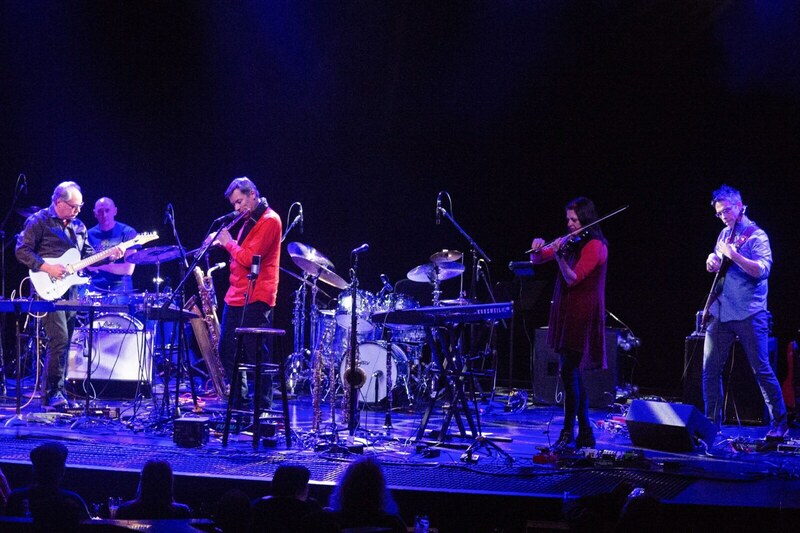 The polyrhythmic twists and turns of “Almost Leaves,” written by Rea and Seattle bassist/sound tech Cary Kindberg, led into James DeJoie’s “Monkey Mind,” with Rea soloing against DeJoie’s baritone saxophone. Alicia DeJoie began “Tanabossa,” the emotion building like the intangible depths of European folk music. Her violin the primary lead instrument, she breathed life into each musically innovative moment, playing versatile solos over melodic progressions and intricate duets with husband Jim either on flute or clarinet. The jaw-dropping “Wind of the World’s Nest,” rooted in Tuvan traditional music, was the climax of Moraine’s performance. Following up Jim and Alicia DeJoie’s masterful duo work, as the tune came to a break Rea simulated Tuvan throat singing with his guitar and an e-bow. Clear and powerful, it seemed to span centuries if not thousands of years while at the same time ebbing and flowing like the tides of an ocean, or perhaps rising and falling like the taking off and landing of a space ship. Soft Machine (interview here) was originally formed in mid-1966 in Canterbury, UK, by Robert Wyatt – drums/vocals, Daevid Allen (interview here) – guitar, Kevin Ayers – bass/guitar/vocals, and Mike Ratledge – organ. Allen, Wyatt and bassist Hugh Hopper had played together as The Daevid Allen Trio in 1963, occasionally accompanied by Ratledge. 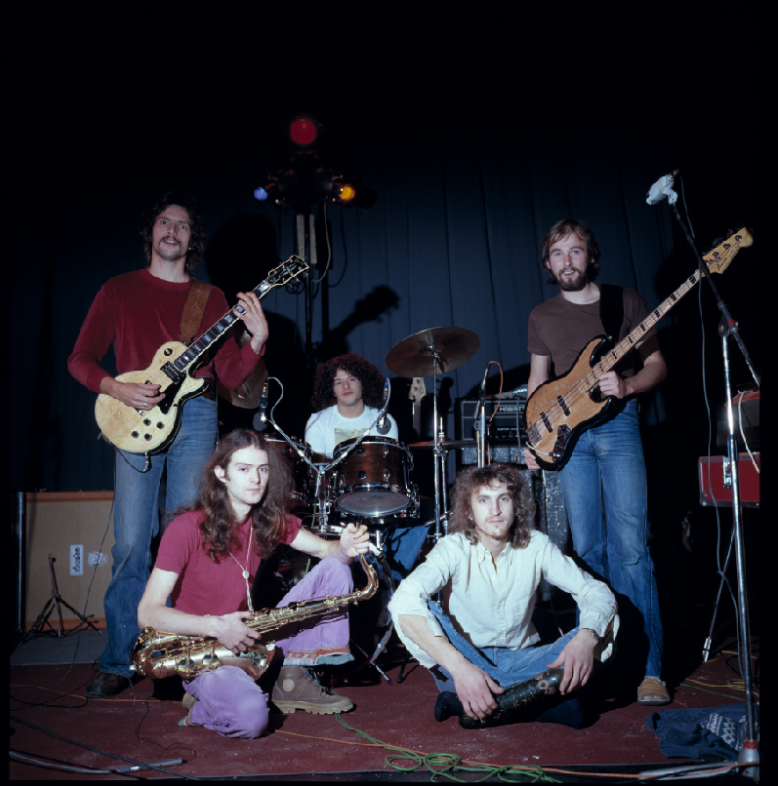 Active in the UK music underground, Soft Machine became one of the central bands in the Canterbury scene. Following a sojourn to France in July and August 1967 where they were highly regarded, Allen (who was Australian) was denied re-entry to the UK. Wyatt, Ayers and Ratledge continued on as a trio, and Allen returned to Paris to form the seminal psychedelic band Gong. 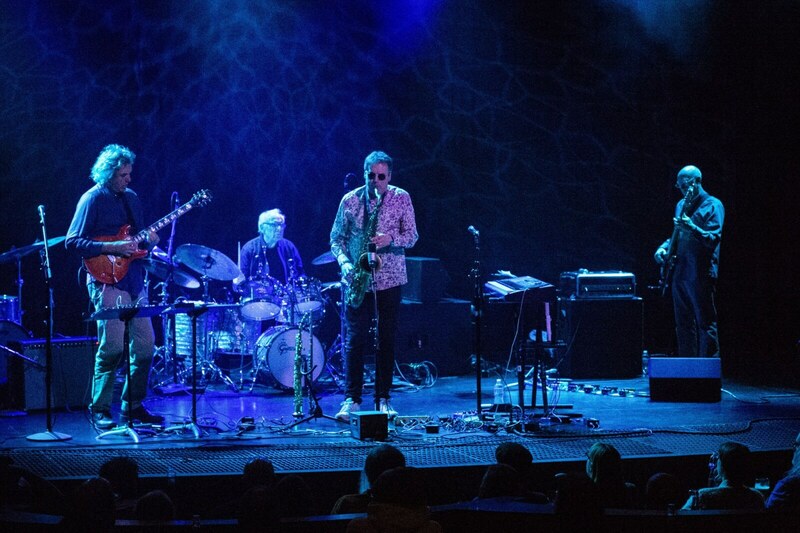 The current lineup of John Etheridge – guitar, Theo Travis – soprano and tenor saxophones/flute/keyboards, Roy Babbington – bass, and John Marshall – drums, was formerly known as Soft Machine Legacy. 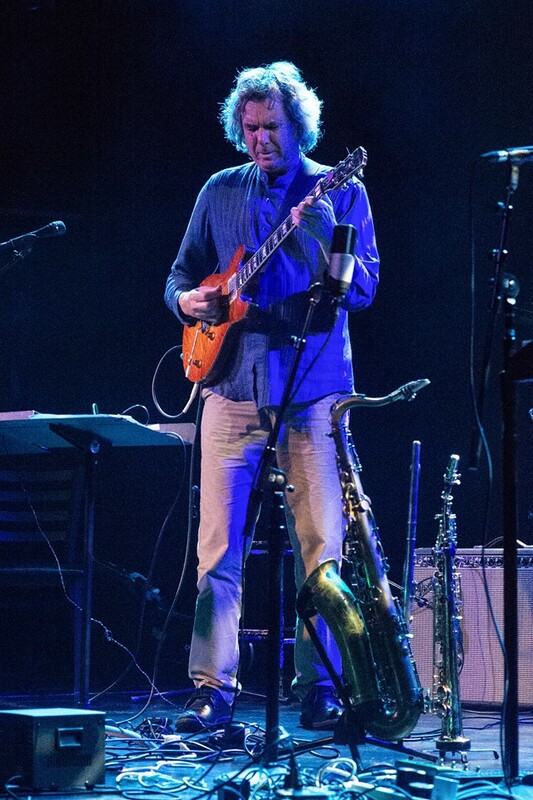 Having included several members of various formations of the band since the 1960s including the late Hopper and Elton Dean, they changed the name back to Soft Machine in 2015. Touring for their new album Hidden Details on MoonJune Records, they opened with the title track. With a spacey lead-in, the band’s roots in free jazz were clearly evident. Travis led on tenor saxophone accompanied by the volatile rhythm section of Babbington and Marshall, Etheridge fast and nimble as he took an extended guitar solo. Following the mid- ‘70s classic “The Man Who Waived at Trains,” “Facelift,” written by Hugh Hopper, was another jaunt into the free jazz realm. Travis wailing on tenor sax with Etheridge’s guitar feedback, they took it outside of time. Travis played flute over feedback loops then segued into slow jazz form with blues guitar progressions that turned into fast, fluid runs. On the title track to the 1975 album Bundles – an album originally recorded with the late Allan Holdsworth playing guitar and Etheridge replacing him soon after its release – the rhythm laid down by Marshall and Babbington was complex with Travis soloing intensely as they broke up the time. The time signature changed as Etheridge forayed on guitar and then duetted with Travis on soprano saxophone, the tempo slowing to a blues as Etheridge continued to improvise. Marshall’s playing was fiery on “Burden of Proof” as he leaned toward the experimental then powered into an English blues shuffle that was solid and straight ahead. The members of Soft Machine sound like they are enjoying playing together today as much as at any point in their long, illustrious career. While not having achieved great financial success, they are considered to be highly influential in progressive rock music. During the show, Etheridge, calling the band “jazz-rock,” explained that they have never been in it to make a lot of money. The two dates at Seattle’s Triple Door were their first visit to the city since 1968 when they toured with The Jimi Hendrix Experience.